It seems like my baking has slowed down in the recent weeks. Some of the ingredients were half used since the last bake. So I decided to use up those remaining ingredients. 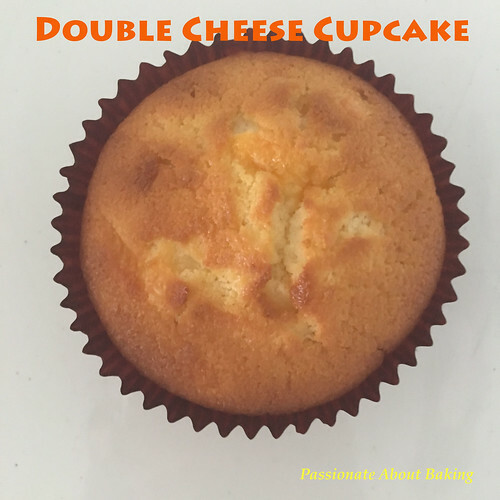 This was what I made with the remaining ingredients - Double Cheese-Cream & Cheddar Pound (Cup)Cake. 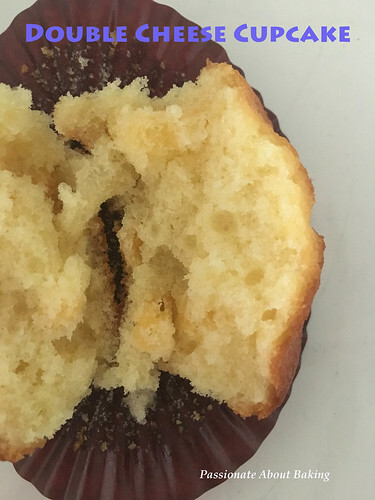 The cupcake was dense but moist and fluffy. Recipe for Double Cheese Pound Cake, modified from Joy of Baking. 2. In a large bowl, sift together the flour, baking powder and baking soda. 3. In a large mixing bowl with k-beater, beat the butter, cream cheese and sugar until light and fluffy. 4. Add vanilla extract and sour cream, beat until incorporated. 5. Add the beaten eggs, one at a time and mix well. Scrap down the sides of the bowl after each addition. 6. Add the flour mixture in three additions. Mix till just incorporated. 7. Finally, using your spatula, fold in the shredded cheese and mix till just incorporated. 8. 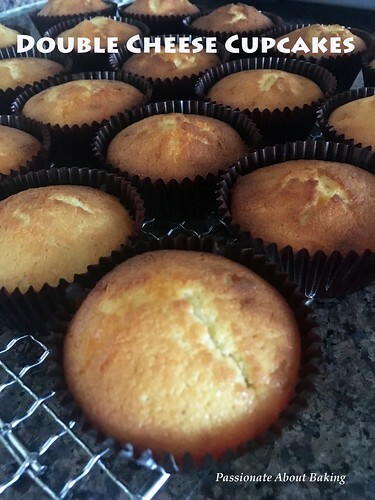 Scoop the batter into the prepared muffin tin with cupcake papers. 9. Bake for 18-19mins or until browned. 10. Remove from the oven and let it cool before serving. 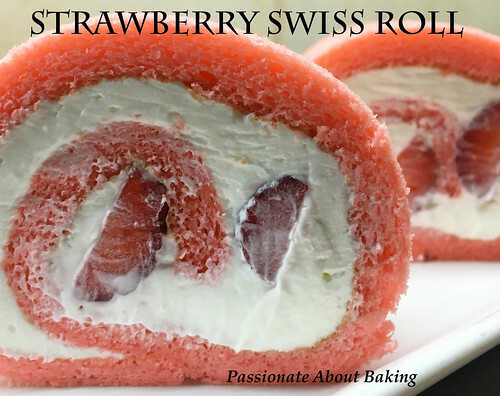 However, last evening, there was a sudden urge to want to eat swiss roll, so I decided to bake one myself. I had wanted to have pandan swiss roll, but I've used up my pandan extract. 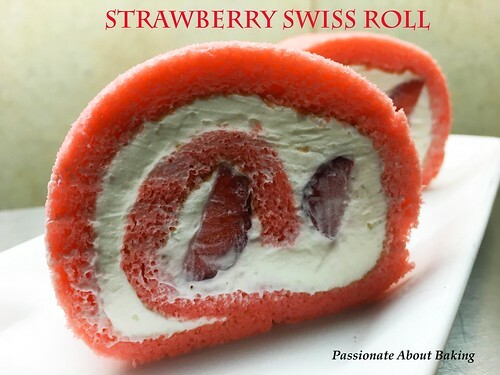 So ended up, I made a Strawberry Swiss Roll. The swiss roll was really soft and fluffy with the nice chantilly cream. I was satisfied. 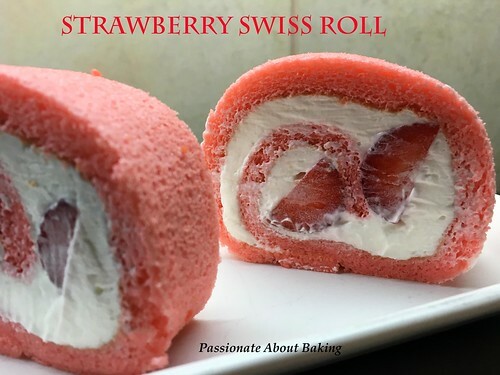 Recipe for Strawberry Swiss Roll. 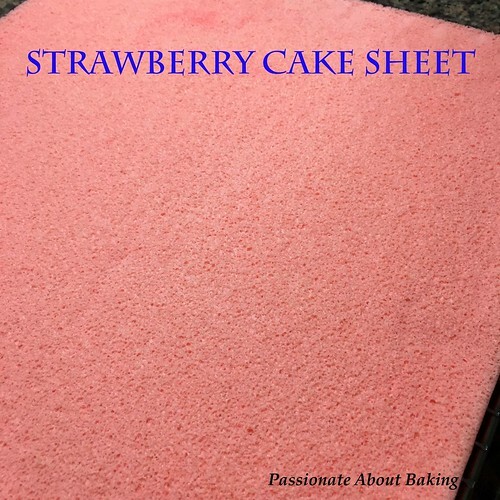 Line the base of 30x30cm cake tray with baking paper. Warm butter and milk till butter has melted. Set aside. Pour the egg yolks into the egg white, beat with low speed for 1 minute. Add the strawberry extract and red colouring into the butter mixture and mix well. Scoop 1/4 of the egg batter into the melted butter and stir well to combine. Then pour the mixture back into the remaining egg batter. Using a spatula, fold to combine well. Spread it evenly into the prepared cake tray. Bake for 12 minutes. Remove from the oven. Remove the cake sheet and let it cool on a wire totally. 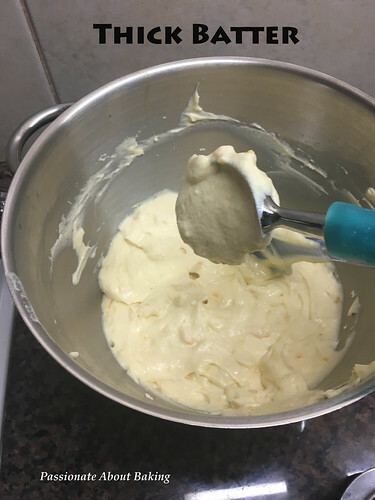 In a clean mixing bowl, add whipping cream and sugar. Beat on high speed until thickened and spreadable. On the cake sheet, spread out the whipping cream evenly, leaving 1 inch each at the front and end. 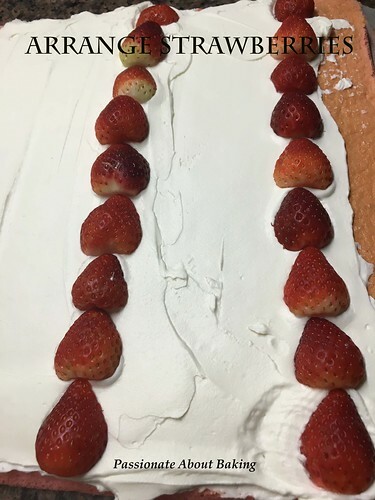 Arrange the strawberries on the cream. Chill and slice it before serving. Enjoy!